It was expected. 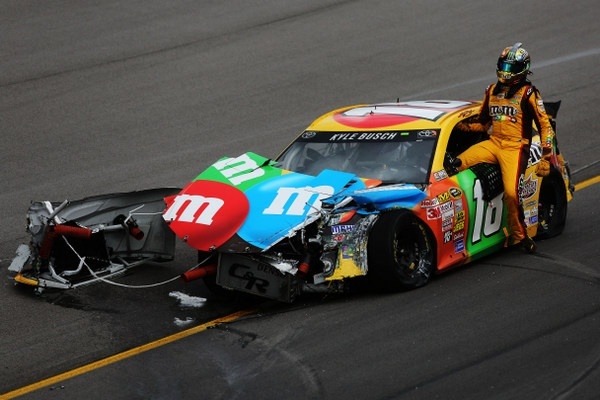 But that didn't make it any easier for Kyle Busch. 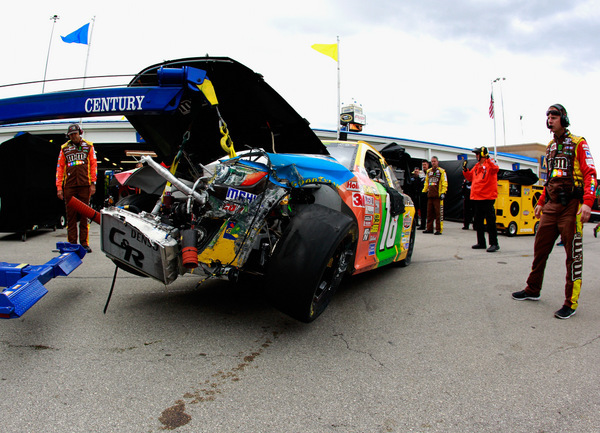 "It's Kansas," Busch said painfully, after his third crash of Sunday afternoon, the one that put him behind the wall at Kansas Speedway, the one that put another nail in his title hopes. 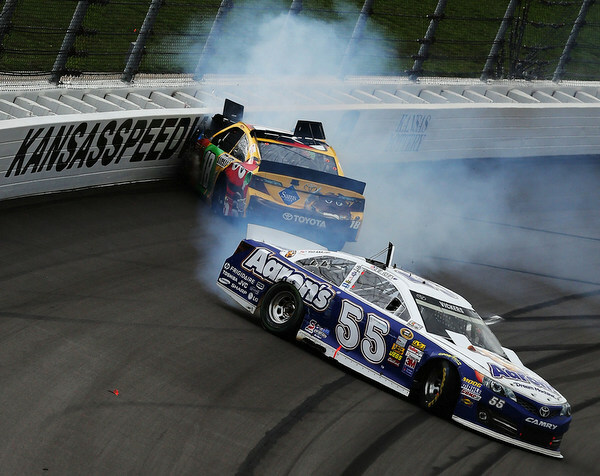 The Kansas 400 had barely begun when Busch got caught up in a Danica Patrick crash. Crew chief Dave Rogers got the car back in shape - the backup car, because a Saturday crash had wiped out Busch's primary. Then midway through the crash-marred 3-1/2-hour race Busch got clobbered by Juan Pablo Montoya, apparently the followup to some bumps earlier between the two. Again Rogers repaired. 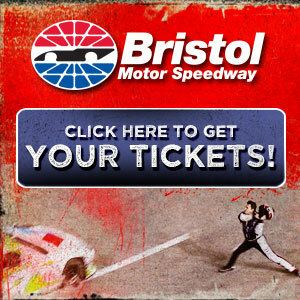 The coup de grace came at the 300-mile mark of the 400, when Busch got tangled up in something involving Brian Vickers and Carl Edwards, in a restart jam-up in heavy traffic. "I have no idea what happened on the last one," Busch said with a weary sigh. "All I know is we're in Kansas, right?" This track has long been one of Busch's worst. Sunday it wasn't a great place for anyone else much either. Kansas still gives Busch problems. "And apparently everybody else does too," Busch grumbled. "Just run over the 18 car and get what you need." Now 35 points down to teammate Matt Kenseth, Busch isn't quite out of the title chase. But he's got his work cut out. Each point is essentially one finishing position, with six bonus points for winning. The championship now? "We'll just have to work hard," Busch said. "We'll just have to keep doing what we've done... that's been consistency. "And every other track -- except Kansas -- seems to be able to bode well for us. "So we'll see what happens. And if it doesn't happen, then it doesn't happen, it wasn't meant to be." Kenseth called his car "the evilest" he'd ever raced. "It was a struggle all day, even when we were in front," Kenseth said. "I've been so incredibly spoiled this year... I haven't had to drive a car like that in a long time. "It was just incredibly treacherous. I was just so loose I was ready to crash pretty much at all times of the race. "We drove back to 11th, which definitely isn't what we wanted, or what we need to contend for this thing, but it was a good save for as bad as we were. "That's the worst conditions I've raced in I don't know how long. Probably since they paved Charlotte and had that hard tire. "This (new) right-side tire (one of Goodyear's new hybrids) was obviously not the answer. "I'm sure Kevin happy; but everybody else struggled with it. "Eleventh isn't what we need to be doing, but it could have been worse. I feel lucky for not being wrecked." Which makes Harvick's charmed run all the more surprising. He won the pole Friday, his first pole since 2006, and he was the class of the field, though not very impressive when stuck in traffic. 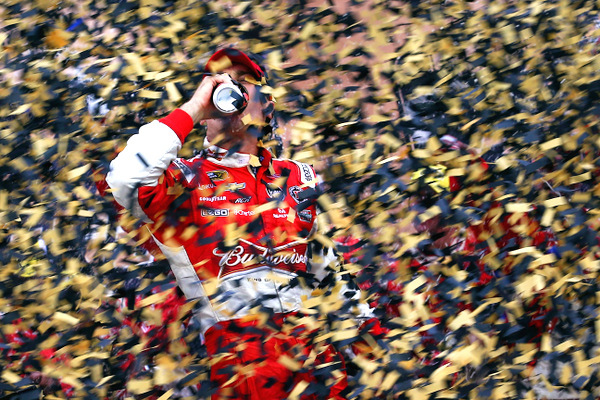 Harvick called it "an interesting weekend ,to say the least. "Everybody was battling the tires and the track. It was like driving on a razor blade." Throw in the speeds, 200-plus into the turns, and those aerodynamic issues, and the constant worries in dirty air versus the straightforward driving when in clean air, well Harvick said "It was like driving two different cars: Out front it was not even close; and in traffic you were just another one of the cars and had a lot of trouble. "That made the restarts really important. Everybody would get really aggressive on the restarts and try to make up spots because that was the place that you had to do it. "To sit on the pole and win the race is obviously a great weekend... and controlling our own destiny by doing that -- putting ourselves closer to where we need to be with the championship race. "We'll just keep having fun."